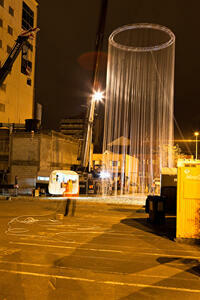 Showing 1 - 20 of 375 results. 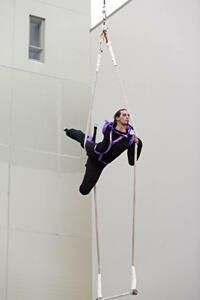 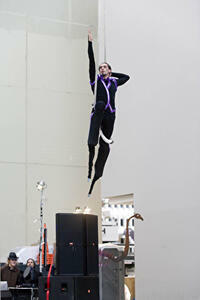 A photograph of an acrobat practicing a performance for 'Sound Cone'. 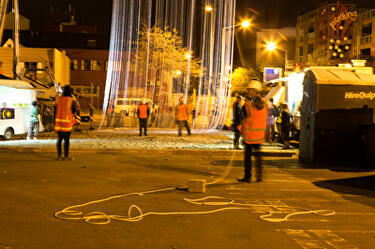 The performance is part of LUXCITY. 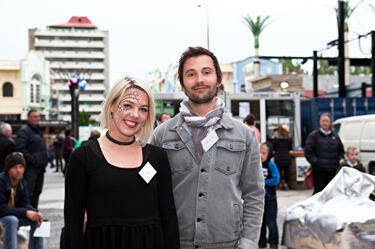 A photograph of Hera Hjartardottir and Ben Campbell from Fledge. 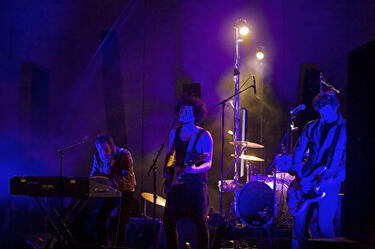 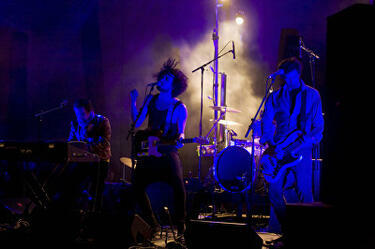 A photograph of a band playing on stage in the 'Sound Cone' space at LUXCITY. 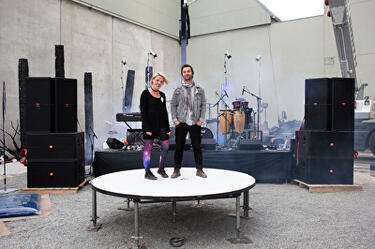 A photograph of Hera Hjartardottir and Ben Campbell from Fledge standing on a circular platform at the location of 'Sound Cone'. 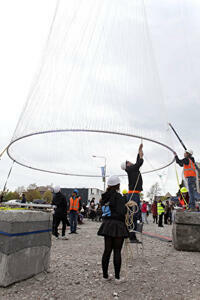 'Sound Cone' is a performance space at LUXCITY, and is next to Cathedral Junction. 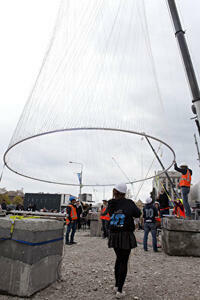 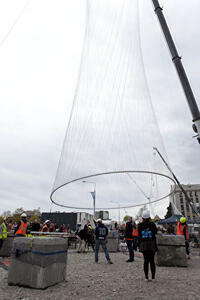 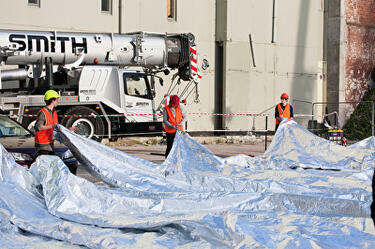 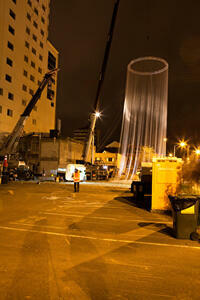 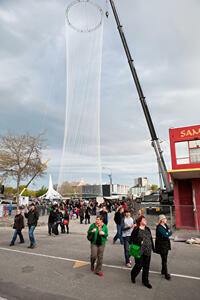 A photograph of a large-scale sculpture titled Altitude being set up for LUXCITY. 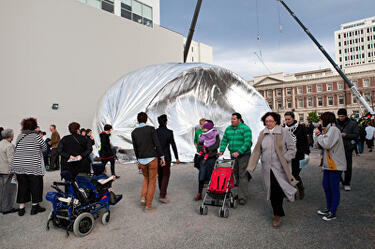 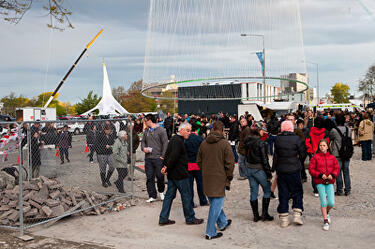 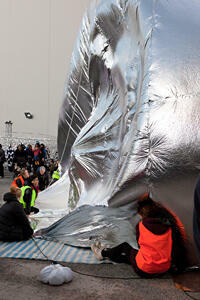 A photograph of a crowd around a large-scale sculpture titled Altitude at LUXCITY. 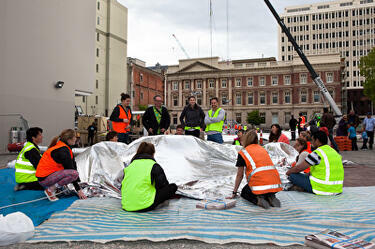 A photograph of the Atmosphere project being set up for LUXCITY. 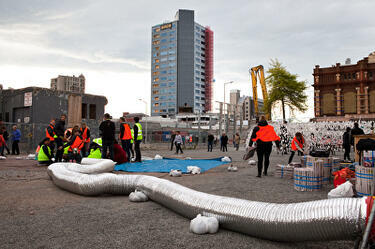 A photograph of the Atmosphere project at LUXCITY. 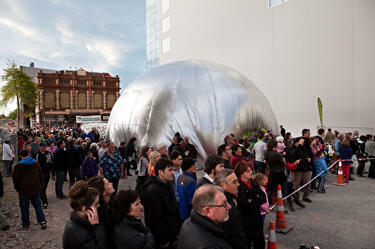 A photograph of a crowd near Atmosphere at LUXCITY.